How did another year sneak up on us so quickly? 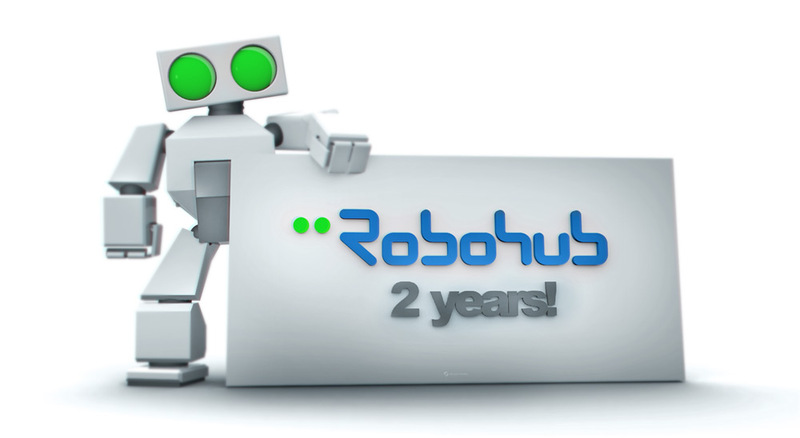 Today marks Robohub’s second anniversary, and this post looks at how far we’ve come! This is no doubt thanks to the many, many incredible volunteers who dedicate their time and energy to making Robohub happen. This summer we were interviewed by Footnote to talk about how Robohub got started, what we’ve been up to since we launched, and the importance of science communication to the field of robotics. We’ve elaborated on that interview below. How and why was Robohub founded? [Sabine Hauert] Since 2008, the non-profit ROBOTS Association had been producing a popular bi-weekly podcast to give a voice to researchers, artists, and businesses in the field of robotics. We recently celebrated our 150th episode thanks to a loyal following of listeners (over two million downloads to date). Over time we came to realize that we weren’t the only ones communicating about robotics: there were many people discussing robotics out there, all with their own niche blogs, videos and social media channels. The trouble was that they were spread out all over the web and, unless you were an expert, it was tough to figure out which of these blogs had accurate information and well-considered opinions, and which were just spreading “hype” about robots. We launched Robohub as a way to bring all the best robotic content together under one roof and make it easy for the interested public to learn about real robots and the people who make them. We also wanted to build a forum where people from different parts of the robotics community … researchers, entrepreneurs, investors, hobbyists, etc… could connect with each other, discuss and debate issues, and stay on top of developments in sub-disciplines outside their central area of expertise. How does your academic background play into this story? [Sabine Hauert] Robots capture human imagination. As a researcher in robotics, you quickly realize that there is a gap between what our robots are doing in the laboratory and how the public perceives them. My PhD on swarms of flying robots for communication in disaster areas sometimes gave rise to articles that made it look like we were ready to save the world. I wondered how we could report on our findings in a truthful manner, like we do in the academic world, while making the content accessible to the public. I then started releasing blog posts and videos to explain my work. Turns out, this lead to findings being portrayed in a much more realistic manner in the media. Another observation was that some of the greatest breakthroughs in robotics weren’t being shared beyond our close-knit community. By enabling roboticists to share their stories in their own words, and by making research transparent and accessible, I hope we can close the gap between researchers and the public, inspire future roboticists, spur innovation, and drive discussions. What is Robohub’s mission, and how does it accomplish this mission? What gap were you trying to fill? Help us get better! Take our annual reader survey! [Sabine Hauert] Our primary goal is to deliver high quality information about robotics to the general public and to improve communication between roboticists, and between roboticists and the general public. But it’s really more than that … We’ve learned that roboticists and innovators have amazing stories that the public wants to know about. Our platform is different from other robotics websites because rather than sending out journalists to cover a story, most of our articles come directly from the roboticists themselves … this way our readers know that they are getting unfiltered content from the experts. But of course busy researchers and entrepreneurs sometimes need help to talk about their work in way that the public can understand. Hallie Siegel, our Managing Editor, science communication expert and robotics connoisseur helps facilitate that process. In essence we are not just helping the public to learn about robotics, but we are helping roboticists to learn about effective communication. Ultimately we hope to inspire the next generation of robotics researchers and entrepreneurs to become articulate and influential leaders of tomorrow. What are the coolest or most groundbreaking stories you’ve covered? [Hallie Siegel] It seems like every month we have at least one story that really captures people’s imagination and goes viral. 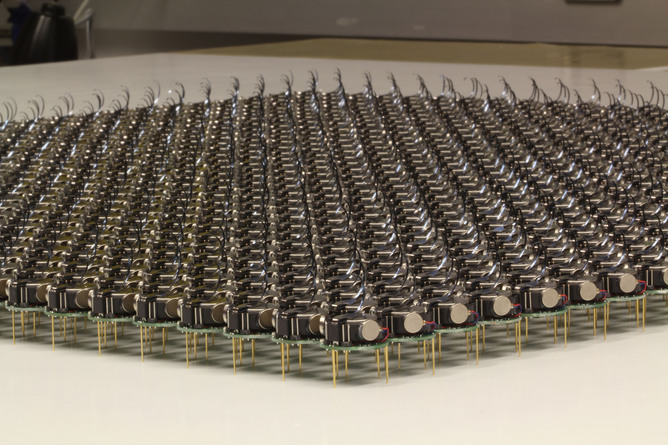 In August this year it was a story about a thousand robot swarm developed by Harvard researchers that can self-assemble into complex shapes without the need for a central controller. In September it was a story by some students from the University of Tartu in Estonia who are trying to replicate an AI system that can learn to play video games. The original paper on which their research is based was published by employees of DeepMind just before Google bought the company for 500 million euros. I find it especially exciting when research stories like these connect to events that are happening out there in the real world. 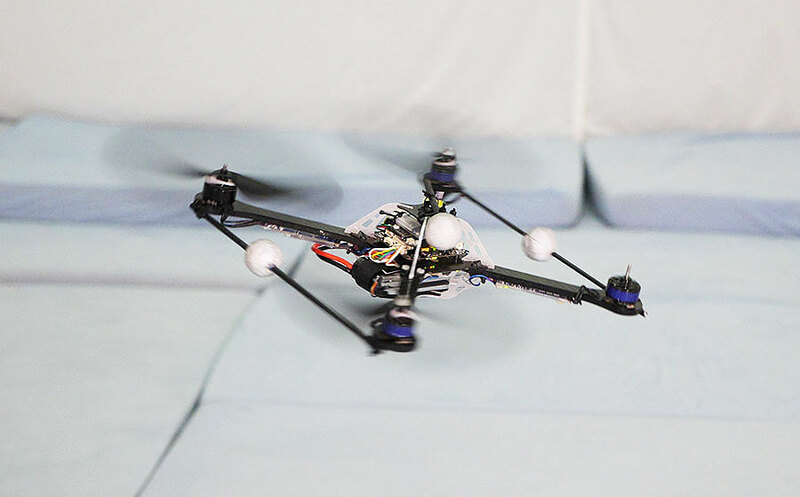 Earlier this past year we published a story about an algorithm that was designed to help autonomous quadrocopters recover after a propeller loss. This story came out right around the time that both Amazon and UPS announced that they were planning to launch drone delivery services – and was very timely because people were justifiably wondering about the safety of unmanned aerial vehicles in a commercial context. This story highlighted both the safety challenges to the commercial application of UAVs as well as some of the ground-breaking research that is being done that may one day make services like Amazon’s PrimeAir possible. Interestingly, Amazon’s PrimeAir announcement came around the same time as Google announced its acquisitions of several robotics companies, including Boston Dynamics, Schaft, Nest and DeepMind. All this caused quite a stir in the robotics community, of course, but these acquisitions made headlines in the mainstream press too. With the Boston Dynamics acquisition in particular, people were wondering why Google was investing in what many people perceived as ‘military robotics’. And we were wondering, how was all this hype going to impact the robotics community? In response we launched a focus series called Big deals: What it means to have the giants investing in robotics where we invited well-known robotics experts, including Frank Tobe (The Robot Report), Henrik Schunk and many others to lend their insight. As part of this series we interviewed Gill Pratt, Program Director at DARPA, to find out what he thinks of about Google buying up some of the technologies that DARPA has spent years building … it was a frank and enlightening conversation about DARPA’s view towards its robotics investments, and we were thrilled to bring this to our readers. What are the challenges of communicating a complex topic like robotics to a general audience? [Hallie Siegel] Communicating technical topics to a general audience is always a challenge, and in that respect robotics is no different from many other fields of science. The difficulty is in simplifying the language, issues and technical details enough that they are graspable by the average reader without ‘dumbing down’ the content. Because researchers are used to writing for scientific journals rather than for mainstream audiences, this is often a challenge. But our contributors have learned that working with Robohub to make their research story understandable to the average layperson has its benefits, not the least of which is that they have better control of their story when they write it themselves. 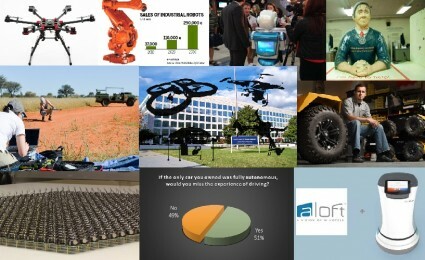 What distinguishes robotics from some scientific disciplines, however, is that it is an incredibly multidisciplinary field, encompassing such diverse areas as mechanical and electrical engineering, mathematics, material sciences, neuroscience, computer science, interface design … even law, politics and ethics … the list goes on. This means that people working in robotics must regularly exchange knowledge with people who may be experts in their own right, but who may not share their particular knowledge or technical terminology. Learning how to write for a more general audience actually helps researchers to communicate to their colleagues as well. One of the most interesting challenges I undertake each month is to summarize the previous month’s robotic news from our own pages and from around the web for our digest column with Jana Witt. Jana and I try to identify common themes that can help give context to what may otherwise seem like just “a bunch of robotics news”. Having a venue for putting research into the same context as business news and mainstream reporting on robotics can really help people who are outside the field to gain some perspective on the issues, and this is something we try to achieve with our focus series and digest. How have you gotten such a large following interested in robotics? [Hallie Siegel] Interest in robotics has been growing steadily for years now and in many respects we are riding that wave. It’s a fast-growing field (as evidenced in part by some of the acquisitions we spoke about earlier) and people want to be part of that excitement. Many people in the robotics community believe that we are nearing a tipping point where robots will emerge from industrial settings and soon enter our homes, workplaces, and public spaces, and as this begins to happen, mainstream interest in robotics will undoubtedly rise. But with that rise will come questions such as if and when robots will steal our jobs, surpass us in intelligence, or pose a threat to our privacy and security … One reason Robohub has grown so quickly is that we have tapped into questions that have caught the public’s imagination while providing a research-backed context for their answers. What seem to be the largest constituencies interested? [Hallie Siegel] Our audience is a mix of people who study or work in various aspects of robotics, either as academics, business professionals or entrepreneurs. We also have a good number of hobbyists and members of the public who are just plain excited about robots. What does the website provide for various constituencies – academics, industry experts, mainstream readers, etc.? [Hallie Siegel] It’s hard to know how to begin answering this question because, until more recently, these various constituencies have been somewhat invisible to each other, perhaps because they have had few opportunities to mix. But new links and synergies are developing quickly. For academics, Robohub is a platform for sharing research results with mainstream readers, with colleagues in related disciplines who may not share the same journal base, and also with members of the business/entrepreneurial community who want to stay on top of the state of the art. Unlike journal papers, which are focused on research results, Robohub articles are a great place for academics to talk about the process of their research … what was difficult, what unexpected results came, what they might do differently next time … learning about that process helps to demystify the work they do. And because we are an (almost) daily publication, academics can also put out results and get feedback quickly from the community. One example of this are the bi-weekly reader polls we conduct in collaboration with AJung Moon from the Open Roboethics Initiative (ORi). 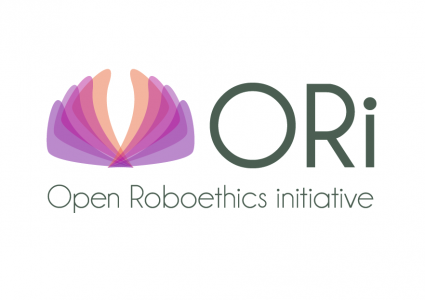 Researchers at ORi poll the broader robotics community (including industry) to identify issues and form poll questions; they use the data collected from this initiative to gain insight and gauge opinion related to human-robot interaction, something they hope can be used one day to design better robots and to inform policy. Obviously, having a platform where academics, policy-makers, business professionals, investors and entrepreneurs are all reading about each other’s work and issues helps to facilitate communication between these groups. For example, last year we ran a series in collaboration with the European Clearing House for Open Robotics Development (ECHORD) that interviewed leading robotics researchers who had successful tech transfer stories like Rodney Brooks and Raffaello D’Andrea to learn from them what obstacles they faced along the way. But we are also helping to tackle the problem of tech transfer in other ways that reach across our various constituencies, and across geographical boundaries too. For example, earlier this year our tireless startup expert Andra Keay (Silicon Valley Robotics) started Robot Launch 2014, the first global robotics start-up competition. The competition attracted 75 startups from 19 countries around the world by the time the deadline passed at the end of March. The entrants came from both the start-up community and the academic community, and as part of the judging process they had the opportunity to pitch their ideas to investors and experts from the legal and accelerator communities. The grand winner for Robot Launch was Leka, a developer of intuitive and intelligent toys for children with autism. Their product, Moti, is a robotic ball that is sensitive to its environment, moves on its own and changes colours to emote feelings; autistic children learn to regulate their own emotions by playing with Moti. Another example is the full day seminar co-organized by our Co-Founder Sabine Hauert this spring at MIT called ROBOTS: From Imagination to Market, where we brought together expert researchers, sci-fi writers, start-ups, legal experts and people from the accelerator community together to learn from each other and network. In response to suggestions from our readers and from industry experts who have reached out to us to help them attract the brightest minds to their businesses, we have also developed a robotics jobs board and an Indiegogo Partner Page to help support crowdfunding campaigns in robotics. All in all, we are working on multiple fronts to bring our constituencies together, and a critical aspect of this is to understand that we are more than just a website, we are a community. Why is academic research an important part of the coverage on Robohub? [Sabine Hauert] Academic research is where it all starts! Universities are one of the only environments where you can explore pie in the sky ideas and dream of a far away future. The challenge is translating research from the lab into concepts that are applicable in the real world. The first step is making research findings understandable to the outside world. This in turn can lead to innovation, justification for public funding, wider understanding and discussion, and further advancement of the state-of-the-art. As a way of doing this, we collaborate with scientific journals such as Autonomous Robots (Springer) to publish free layperson summaries of recently published papers. A big part of our efforts go towards enabling researchers to effectively create and disseminate information on robotics-related topics by providing them with the know-how, tools and distribution channels to successfully share their work with the public. How does academic research contribute to your mission? [Sabine Hauert] It’s interesting, I always thought that science communication was just a service to the community. Turns out, researchers get a lot out of it as well! One of my projects at the Bhatia Lab at MIT was to explore nanoparticle designs for cancer treatment. To this end, we launched a game called NanoDoc (http://nanodoc.org) to crowdsource this process and blogged about it on Robohub. The article was later relayed in mainstream media with links from New Scientisit and the Guardian, which in turn lead to more players on NanoDoc. It’s amazing to see how the crowd can find solutions to complex scientific challenges when they understand your work. What started as a mission to communicate robotics to the public has now become a powerful tool to advance my academic research. Science communication has helped me find collaborators, PhD students, and speaking opportunities. What are some of the best experiences you’ve had working with academics? [Sabine Hauert] Some researchers have given up on communicating their work to the public because they worry it will be misinterpreted or hyped. It’s really satisfying when we can work with academics to help them explain their work in a way that is accessible to the public without diluting their original message. At the end of the process, we’ve even had researchers use Robohub pieces for their own academic homepages. It’s also very satisfying for them when their article gets picked up by mainstream media and goes viral. 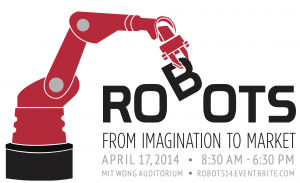 What have historically been the roles of industry and academia in the field of robotics? In what ways have they worked together, and in what ways have they come into conflict? [Sabine Hauert] Historically, robots on the market were mostly industrial robots on assembly lines. While this is still the case, robots are now permeating new markets spanning healthcare and service robotics to entertainment with the aim to increase our productivity, explore new frontiers, and improve our quality of life. More than ever, roboticists are launching spinoffs and the big players, such as Google, Amazon and Apple are taking interest. Venture capitalists are jumping on the band wagon, with several dedicated funds created in the past few years including Grishin Robotic and Robolution Capital. Core Robohub member Andra Keay has long been reporting on the rise in robotics startups in The Valley where she leads Silicon Valley Robotics and Robot Launch Pad. These dynamics have strongly increased the amount of interactions between academia and industry and reshaped the private and public funding landscape. As an example of this, the EU just launched €2.8B funding program that combines funding from the European Commission and Industry with a strong emphasis on translation. At Robohub, we have a balanced split between research and industry interests. At our weekly meetings, we sometimes realize that researchers and industries are working on similar problems with few exchanges happening between the communities. This has motivated us to actively work towards bringing both research and industry together through focus series, our startup competition and a dedicated conference we co-organized at MIT. We’ve also created a community of experts within Robohub who know the key players in the field and can facilitate exchanges. How can different disciplines within the academic community learn from one another? [Sabine Hauert] Robotics is already a melting pot of academic disciplines that mixes mechanical engineering, computer science, material science, bioengineering, medicine, psychology, ethics and law. It’s one of the best fields to become cross-disciplinary, and that’s why I love it! Become a contributor. Yes, you! You do not need to be an accomplished writer or published author to have your story published on Robobub – we can help you polish your writing if need be. Send us your comments. Ever notice the comments section at the bottom of every post? We do our best to make sure that our contributors respond to the comments readers submit, so go ahead!! Tell us what you think! Spread the word. Like us! Join our circle! Tweet our stories! Upvote! Sign up for our weekly newsletter. All the news from Robohub, right in your inbox. Don’t ever miss an article again! Go ahead and republish. Robohub believes in the free flow of information, so unless otherwise noted, you can republish our articles online or in print for free as long as you don’t edit or sell them separately. Fill out our annual reader survey. 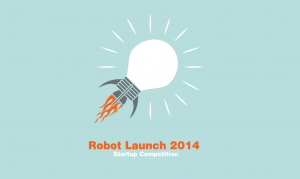 Your feedback will help us as we apply for grants and philanthropic sponsors to support Robohub. Thanks to all our readers and contributors for making it such a great year! Here’s to many more.